Amsterdam Mama Lana Huf-Germain gave birth to baby Ruby almost three months early. Here she shares with readers what the procedures are in the Netherlands and where you can find support. An estimated 15 million babies are born too early every year; that's more than 1 in 10 babies. This can happen due to a variety of physical problems such as preeclampsia, Hellp syndrome, or a problem with the placenta, but it can also happen for no known reason. What happens in the Netherlands when babies are born prematurely? Your child will be taken to the NICU (neonatal intensive care unit). This is a highly sterile environment where specially-trained nurses will care for your baby. Parents will be advised to start Kangaroo Care (holding the baby on your bare chest) immediately. This seems scary and confusing due to the baby's small size and possibly the tubes and electrical wires are attached to them, but it relaxes the parents during a time of stress and fear, and soothes the child. For as long as your baby is in the neonatal intensive care unit, this is how you will spend your days, as well as holding them, staring at them in the incubator, singing to them, and meantime trying to express milk. It is always possible to express milk next to the incubator because breast milk is golden at this time. Most hospitals use donor milk until you are able to express your own, and if you are unable to do so, they will discuss other options with you. When the baby is a little older, heavier, and healthier, they will be taken to a normal care ward. They might still be in incubators, and they will still need 24/7 care, but not as intensively or on such high alert as in the NICU ward. Which professionals can help you at this time? There are always psychologists on call at the hospital, and nurses will refer the parents to them if they see them struggling to cope with their experience. Another shining light in this dark time is the Early Bird Foundation. They will send a photographer, free of charge, who will take pictures of you while you’re with your child at the NICU so you can have a beautiful family album to look back upon. What happens when you return home? Most Kraamverzorgsters (post-natal maternity nurses), together with your insurance, can offer a few days of help around the house and with the baby once you return home. Please consult your midwife and insurance provider about this. When receiving guests at home, it’s very important to find a balance between the strict hospital hygiene guidelines and your own house rules. This will take some adjustment. You can also get an extension to your maternity leave.To calculate this, click here (in Dutch). Where can you buy clothes for smaller babies? Because the NICU is a sterile environment, babies are not allowed to wear clothes. Their bodies still have to learn how to control their temperature and the incubator will regulate this. Once they’re in the general ward, the babies are allowed to wear a onesie. A premature baby on this ward is usually a size 40/42/44. There are special premature clothing sites like Neomaatjes and Kleine Kleertjes, but brands like Noppies and Petit Bateau already have a small fit. Hema, Noppies and Prenatal all stock size 44 and Petit Bateau does from size 42. Note that shrinking the onesies at 95 degrees will always help. Both Pampers and Kruidvat make size 0 diapers, and Difrax stock a premature-sized pacifier. 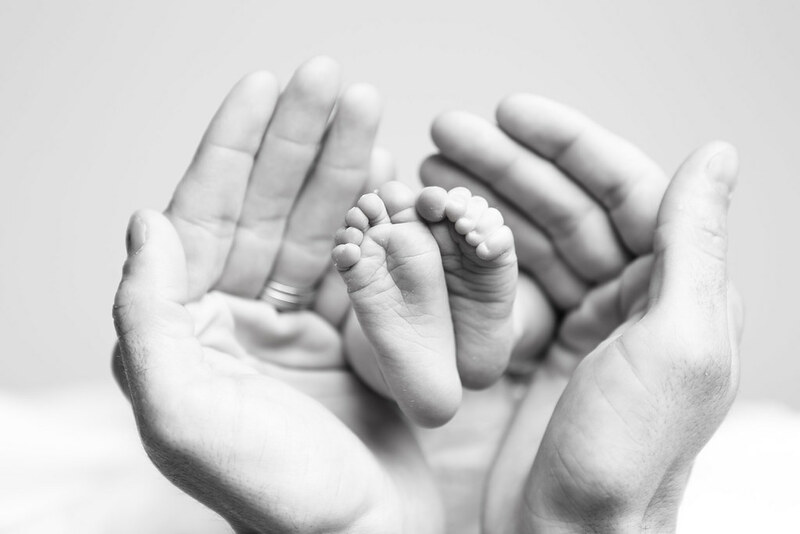 What can friends and family do to support parents of premature babies? Parents of premature babies are most likely exhausted, emotionally drained, and hungry. Friends and family can help by being there to offer them a shoulder to cry on, make them a home-cooked meal, clean their house, or pack them a lunch to bring to the hospital for in between visits. They may also appreciate a ride to or from the hospital. For many parents of premature babies, once the adrenalin leaves the body and life becomes normal again, traumatic memories come back and Post Traumatic Stress Disorder can sometimes occur. It’s very important to have the hospital psychologist's contact details on the fridge. As well as watching out for the mother, keep a close eye on the partner during this period. Not only did he have to deal with the traumatic birth, but also with feeling helpless when his partner was in labour, and frightened about the potential physical danger she was in. Where else can you find support? The American website MarchofDimes gives you all the general information that you need, from pregnancy to aftercare. The European Foundation for the Care of Newborn Infants is an international site that focuses more on the premature infant and the medical side of things. The Dutch site Kleine Kanjers sells premature-related merchandise and has an online platform for parents of premature babies. There are a lot of Dutch premature parent support groups on Facebook, but they are mostly on a private setting to protect their members. In these communities, members often offer premature clothes for free or a small donation. Please note that these groups are all in Dutch. To share your questions and get positive feedback in your own language, we recommend doing a Facebook group search for "premature" in your mother tongue. Lana Huf-Germain gave birth at 29,5 weeks, to little Ruby Etta (795 grams), who is now a happy and very healthy toddler! Lana spends her time helping new expat families feel at home in Amsterdam with her company Amsterdam Family Assistance.